Earlier this decade, when my nephew attended Oceanside Middle School, his teachers devoted a month to the Holocaust. He and his fellow eight-graders had to read a book, watch a movie and write several reports on this important subject. As students nationwide are taught the horrors of Nazism, however, I won’t hold my breath waiting for those same educators to teach anything comparable about the grand-scale horrors of an equally evil ideology: communism. I’m reminded of this as the 20th anniversary of the Berlin Wall’s fall approaches on Nov. 9. While growing up during the Cold War era, I’d seen many movies and documentaries and read books, both in and outside of Oceanside schools, about Hitler’s atrocities. Why then did it take me until my late-20s to finally discover the collective horrors committed by Communist dictators — an estimated 100 million people perished under Marxist regimes, and countless others suffered widespread poverty and deprivations? I initially discovered communism’s legacy on my own by reading Russian authors Ayn Rand and Alexander Solzhenitsyn, who both survived the Soviet slave state. More recently, I completed “The Black Book of Communism,” the most comprehensive tome on Marxist utopias, whose ever-present political imprisonments, tortures and executions continue today, and “Gulag,” by Anne Applebaum, an equally thorough study of the Soviet forced-labor camp system. I've since learned that in Soviet Russia the mass murders began immediately under Vladimir Lenin and peaked with Joseph Stalin, who from 1932 to 1933 systematically starved an estimated 6 to 10 million peasants in Ukraine after they rebelled against his collectivized farm system. Under the reds, tens of millions of people were deported to gulags, many in frigid Siberia, where most perished. Mao Tse-tung can unquestionably be called history's worst mass murderer, having orchestrated a massive famine from 1959 to 1961 that killed between 20 and 43 million Chinese, and overall the communist dictator slaughtered some 65 million people. During Pol Pot's Khmer Rouge regime in Cambodia from 1975 to 1979, a third of that nation's citizens were sacrificed in what is the greatest proportion of a population exterminated under a communist dictatorship. It is disgraceful that educators never teach, give short shrift to, or rationalize away the horrors in these and other nations that instituted communism or still do, as in North Korea and Cuba. Yet a fundamental and complete understanding of both Nazism and communism requires that they are taught together — they represent two sides of the same ideological coin. As with the Holocaust, the horrors of communism have their deniers and apologists. The difference is the Nazi sympathizers are properly condemned and shunned, but some gulag deniers still hold high positions in our universities. These professors and their former students in education, the mainstream media and government still preach that communism is noble in theory but failed in practice. In reality, communism, like Nazism, failed miserably in practice because it is anti-life in theory. At root, both preach that the individual must sacrifice for the group and state, be it “the master race” under an Aryan regime or “the working class” under a dictatorship of the proletariat; that the individual has no right to his life, liberty, property or the pursuit of his own happiness; that he must obey the dictates of the state; and that its use of physical force is a justifiable means to effect these ends. The most important lesson students can learn about totalitarian regimes is that both ideologies lead to the systematic violation of individual rights, the moral-political principle that is America’s original foundation, and ultimately had to lead to mass deaths. But how can students learn such lessons when communism and its history are virtually ignored, its ideology is still taught as noble, and some openly celebrate communist killers such as Mao and Che Guevara? 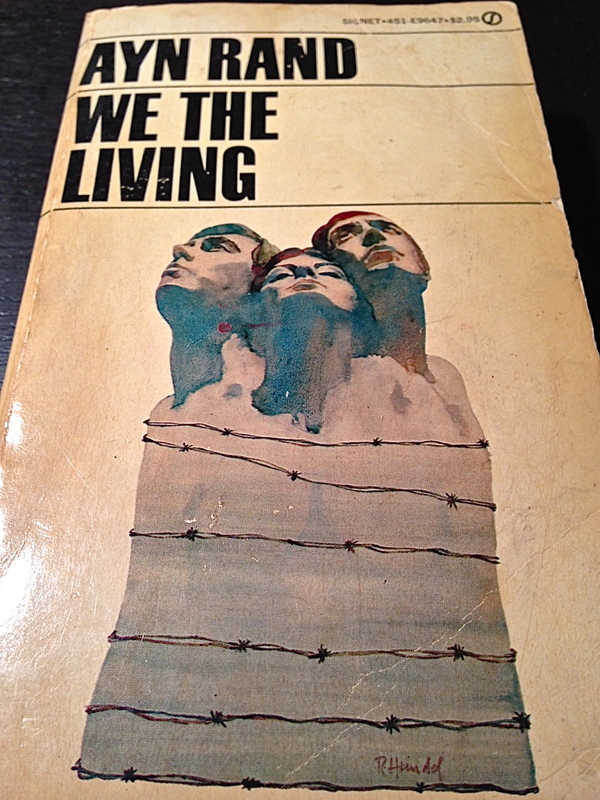 For starters, educators can assign their students novels like Ayn Rand’s “We The Living,” to introduce them to Marxist ideals and the perpetual hopelessness and fear people suffer living under a communist state, and Solzehenitsyn’s “One Day in the Life of Ivan Denisovich,” which revealed the brutality of the Soviet labor camps. We cannot expect the horrors of history's bloodiest regimes to never happen again if our educators fail to teach students about the corrupt ideas that made them happen. * This commentary originally appeared in the Oceanside/Island Park Herald.